Dental crowns are more common than you might think as they’ve helped millions of Americans replace missing teeth. If you think you might need a crown, contact Scott Young, DDS in The Woodlands, Texas, for expert dentistry. 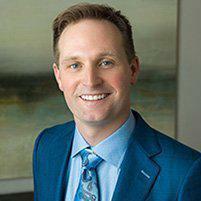 Dr. Young is a Fellow of the Las Vegas Institute for Advanced Dental Studies, the world's foremost authority on cosmetic and reconstructive dentistry, and has performed more than 15,000 reconstructive procedures. Call the office or book an appointment online today. A crown is a cover for a damaged tooth. It's shaped to look like the natural tooth it’s covering and can strengthen the tooth and restore its appearance. The crown goes over the original tooth and is bonded into place, so the tooth is completely covered, from the gumline up. There are a variety of reasons the experienced team at Scott Young, DDS may suggest a crown. A crown can cover a dark or misshapen tooth or a dental implant. A crown can do more than improve the appearance of a tooth, however. It can protect and hold together a weak tooth. Teeth that are weakened by decay or extremely large fillings are at risk of breaking unless they're strengthened with a crown. Many patients are great candidates for dental crowns for both cosmetic and restorative reasons. Whether you need a crown to fix the appearance of a tooth or strengthen a weak tooth, a dental crown can protect your teeth for years to come. Crowns can be made from a variety of materials, but the expert dental team at Scott Young, DDS only uses ceramic crowns of the highest quality. All-ceramic (porcelain) dental crowns offer superior aesthetics because they look just like natural teeth as porcelain mimics the translucency of natural enamel. This means they can be made to match your natural teeth so nobody will be able to tell the difference between your crowns and your other teeth. Porcelain crowns also feel the most like natural teeth, and all-ceramic crowns are generally no more abrasive than dental enamel so they won’t rub against the surrounding teeth in a way that wears away the natural enamel. What should I expect when getting a dental crown? Most of the time, a minimum of two office visits are necessary for a dental crown procedure. During the first appointment, the team at Scott Young, DDS takes X-rays to ascertain the condition of the tooth that’s getting a crown. Next, Dr. Young administers anesthesia, then builds up or files down the original tooth so the crown will attach securely. After that, he takes an impression of your teeth and sends it to the LVI lab so a custom crown can be made. Dr. Young places a temporary crown over your tooth until the permanent crown is completed.  If you think you may need a crown or would like to discuss your dental needs with one of the leaders in the field of reconstructive dentistry, contact the professional team at Scott Young, DDS or schedule an appointment online today.